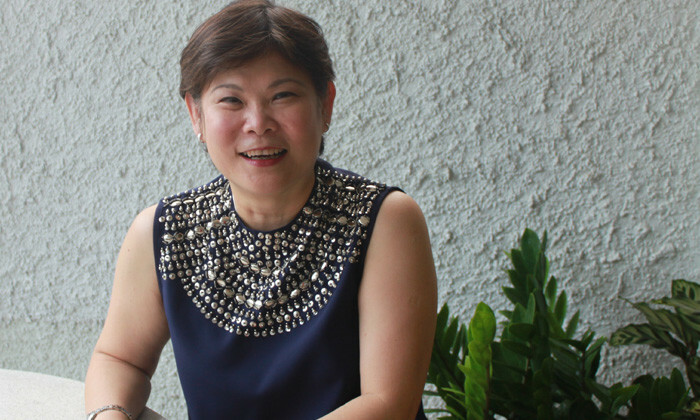 Chong Swee Lian, HR manager for Tollyjoy Baby Products, analyses the factors that keep employees loyal and committed, some as long as 40 years with the organisation. Competent and diligent employees form the very foundation of any enterprise. They not only help define and shape the organisation, but also help to mould its character and personality. People who work for you must be managed as a resource and valued as an asset, rather than treated as another economic digit. If you embrace this, the HR policies you craft for an organisation are more likely to be attractive and well-thought through. At Tollyjoy, we are indeed blessed to have had a relatively stable, and some may even call it, charmed HR situation. We are an SME and a family owned business and having said that, how many people out there would contemplate working in this kind of environment, let alone stay for long? We have about 200 people working with us across our organisation regionally. The reality is that we’ve had very little staff movement over the years. Our longest serving staff have worked with us for well over 40 years now and there are 15% of 25-year stayers, 18% of 20-year stayers and 25% of 15-year stayers. On an average, employees have stayed more than 10 years. Our longest serving staff have worked with us for well over 40 years now and there are 15% of 25-year stayers, 18% of 20-year stayers and 25% of 15-year stayers. Apart from the government’s mandatory HR policies that form the basis of our HR practices, we have over the years had a gradual inclusion of best practices based on employees’ feedback and how society in general has evolved over time. The additional HR practices include flexible work hours and work from home options. We see the importance of having flexible HR management to achieve a happy workforce and believe in the saying “a happy worker is a more productive worker”. This can be seen in the way employees and managers manage their working time with the flexible work hours. Our workforce comprises nearly 95% of women and no one can deny the importance of a woman’s role in the functioning of a family. So when any of our staff have a genuine request to take a leave of absence at any point in time of the day to attend to matters relating to their family, we allow them to do so. Instances when employees request to come to work later than usual because of their unique family circumstances, we accommodate. In the above scenarios, fellow colleagues share the workload in the interim, while the affected employee in return puts in the extra mile when it comes to their turn in sharing the burden. When any of our staff have a genuine request to take a leave of absence at any point in time of the day to attend to matters relating to their family, we allow them to do so. The option to work from home is another HR tool that we use to keep our employees continually engaged. Women, who have a difficulty in physically being present in the office due to various commitments, but wish to be kept in the loop about critical projects under their care during such periods, have this option. They are engaged in the most practical, comfortable, and least intrusive way possible using company adopted popular IT tools and software, allowing colleagues to communicate and collaborate with one another. The implementation of the above policies was welcomed, but took some time for everyone to get used to. First, we had to overcome the age-old idea that an employee has to be physically present in order to do their work effectively. Then the notion that employees are always finding ways to do less for more. Third was to change from being an exclusively work-centric culture to being work and people-centric. Finally, embracing technology as an enabler rather than an obstacle. Essentially, the four challenges had to do with management rather than the employees. The company must first be able to overcome any existing bias towards such work practices in order to allow such programmes to be offered to their employees. So in that sense, no training is required for the most part. It’s a matter of whether the company and management can accept this paradigm shift in work practices. As for embracing technology, fortunately for Tollyjoy, it is now a widespread phenomenon as compared with decades ago where a majority of people were not as computer literate as compared to the present day. Back in the day when they first started computerising our operations, they had to send relevant employees for training on how to use the PC and some basic third party software. The concept of employees having to be physically present in order to accomplish their work is no longer valid in this day and age where technology has now given us the tools to bridge time and space. As long as given assignments/objectives are accomplished in the time frame given, our company is more than willing to accommodate employees’ requests in order to have a pro-family approach by HR management towards employees. We had to overcome the age-old idea that an employee has to be physically present in order to do their work effectively. Over the years we have seen about 3% of our staff leaving the organisation and returning to work at Tollyjoy after a few years. This is a clear testament to our organisation’s pro-family culture and inclusive working environment. We are grateful to have such wonderful and loyal employees who have been through thick and thin together, and we couldn’t ask for more. Are HR departments too poor to be more 'strategic'? Are these the reasons stopping your team from leaving on time? The boss isn't always to blame. Personal habits and colleagues also play a big part in determining whether staff can leave on time..
Talking about salary can often feel like wading into dangerous and murky waters. Here is some much-needed advice on how to deal wi..
Are degree holders no longer an elite group in Hong Kong? Like every developed economy, the abundance of university graduates means getting a degree is no longer a guarantee for success. ..